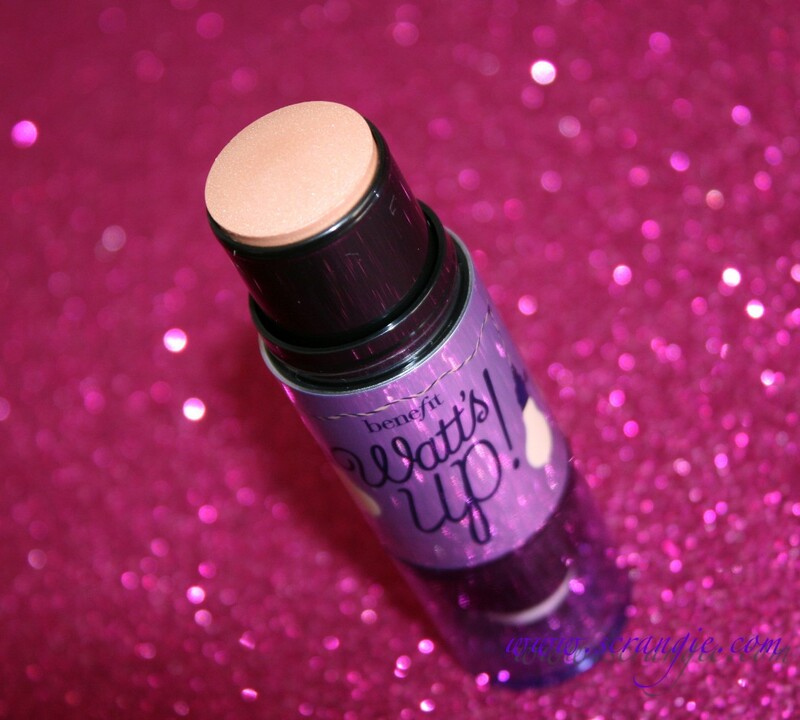 Have you seen the new highlighter from Benefit? It's cute. 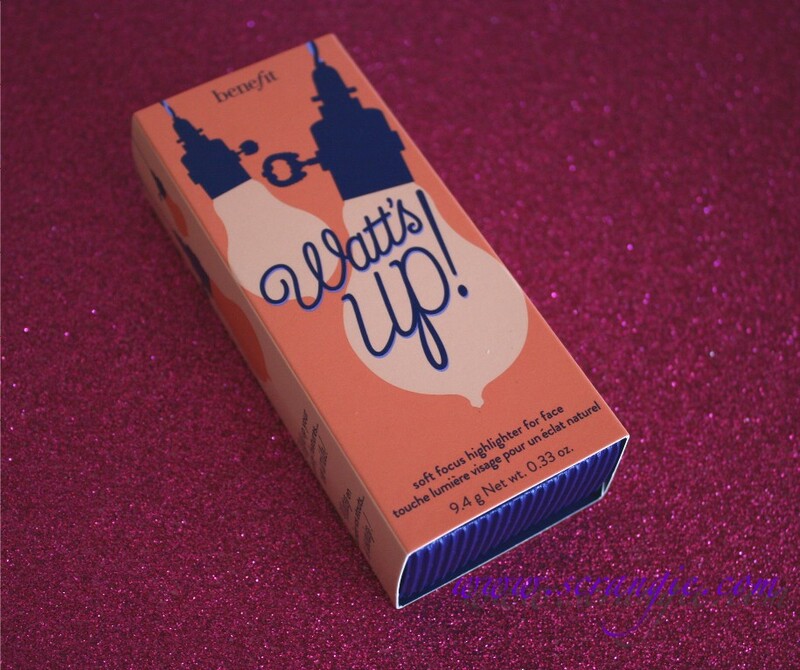 It's called Watt's Up! and it just came out this fall. 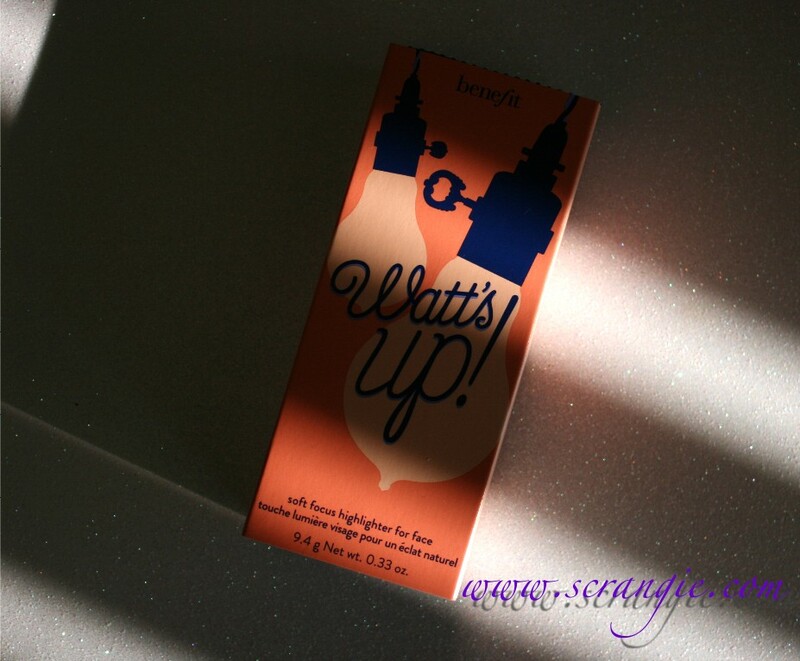 Benefit Watt's Up! comes in a shiny, double-ended purple chrome tube. The end with the purple chrome cap contains the highlighter. It's a solid stick that twists up. The end with the clear cap has a soft, domed sponge for blending. 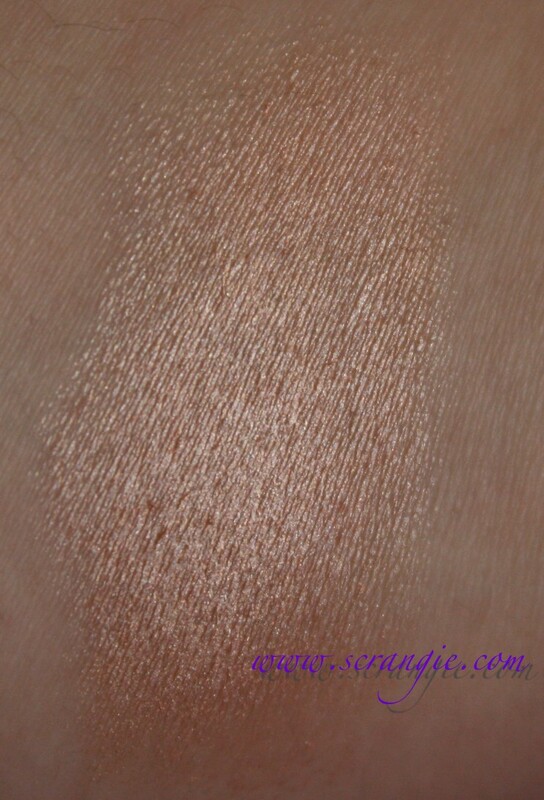 When it's blended out, it's just a very faint, glowy sheen with a little sparkle and a slight champagne tint. Applying this takes a little practice. I've tried it a few different ways. Some worked for me, some didn't. Applying it straight from the tube to my face didn't turn out nicely (obviously, but I had to try it). Blending it with the included sponge didn't really work for me either. Blending it on my hand and applying with the included sponge was a fail. My usual trick of mixing it in with my foundation was a little too sticky and shiny because of how thick this is, but here's a tip I got from Benefit's very helpful makeup artists; it's how I'm currently using it and I really like it this way. After my foundation is applied but before powder, I pick up a little product from the tube with a synthetic fiber foundation brush (I use a Smashbox #13). I take the brush and dab it gently along the top of my cheekbones and a tiny tiny gentle dab on the bridge of my nose. If it looks too strong, I gently tap it with my fingertips to blend. 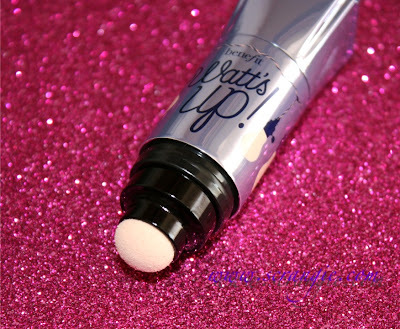 Then I apply powder, but I avoid the area where I've applied the Watt's Up. That way it's not heavy or too shiny and it's easier to blend or add more if it's not enough. My favorite way to use this is to take a dab of it from the stick using my ring finger and then press a little into the inner corners of my eyes. 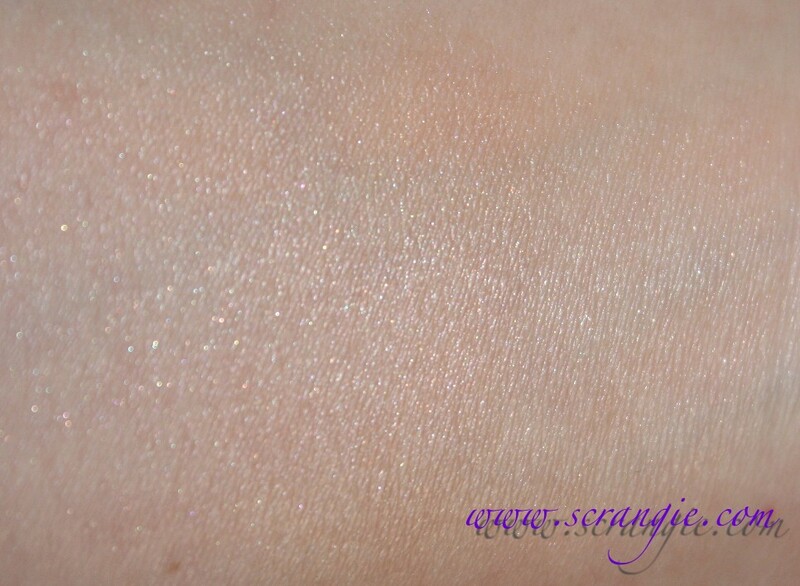 I always have trouble with darkness there and the little touch of highlighter creme adds some nice light. Also makes a good base for adding light colored shadow in the inner corners. Good on the cupid's bow and on the lower lip, too. I'm not a fan of shiny on my browbones, so I haven't used it as a brow highlight. Benefit always has cute packaging. The shiny purple tube looks adorable. Adds a candle-lit glow that can be as intense or sheer as you want it to be. Looks great in the inner corners of my eyes. I love the tiny sparkles. As much as I like the color, the packaging is overly large and cumbersome and the cap on the product end doesn't fit tightly. 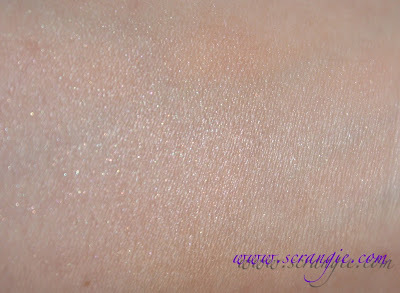 The shiny highlights can accentuate rough or uneven skin. I had that problem with this, so I have to use it very lightly. If you are acne prone or have very dry skin, this might look rough or cakey on you. The sponge end didn't really help me blend or apply the product. Solid formula isn't as foolproof to apply as a liquid (like my usual Benefit Moon Beam). Overall, I think it's very cute, but it's not as user-friendly as it should be. Maybe I'm just too used to liquid and powder highlighters because I had a harder time getting the hang of this than I thought I would. 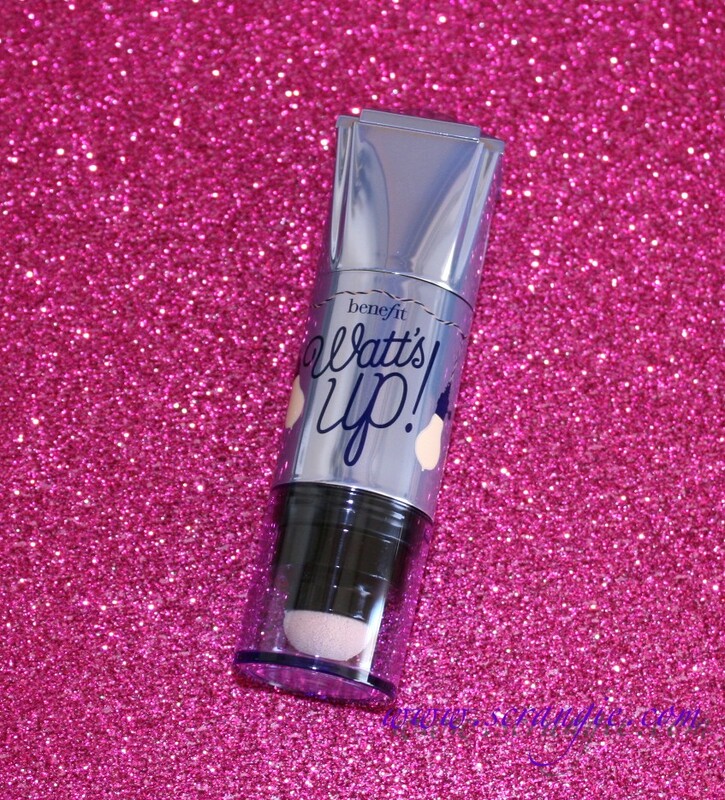 My skin is not perfectly smooth and if I over-applied it, it magnified my problems. Once I finally found a good way to apply it, I really liked the results. 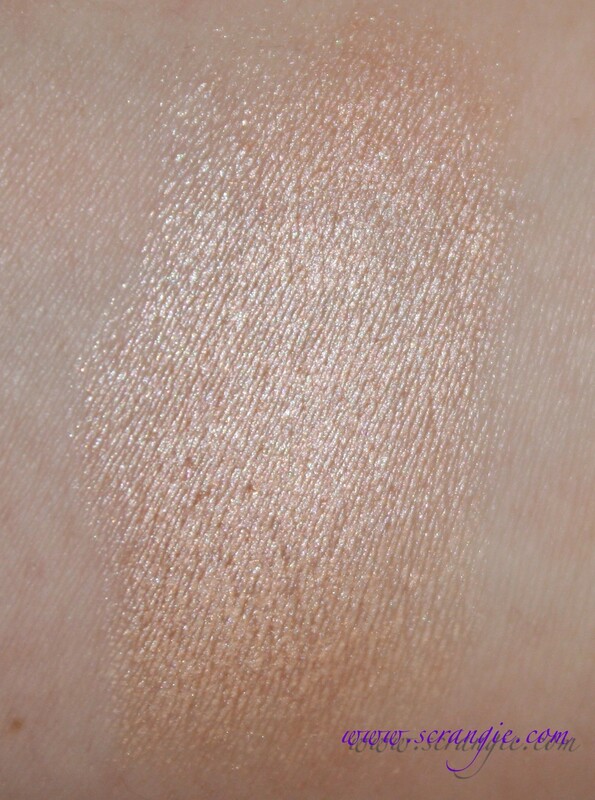 If you love highlighters, you'll love this because the end result is very soft, pretty and glowy. 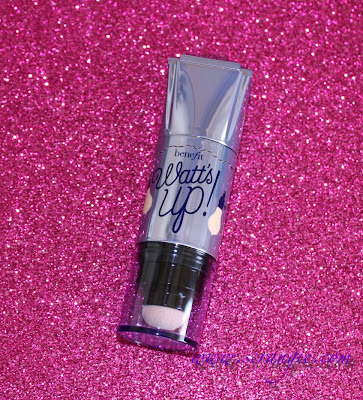 If you're not into sparkle or shimmer on the face, you can probably pass on this! I want to get this for my girlfriend as a Christmas gift but shes allergic to practically everything. She has been wanting the Urban Decay highlighter that recently came out. Which do you think is better, if I may ask? Cassondra, I don't own the Urban Decay cream ones, but I did try them a few times in the store. 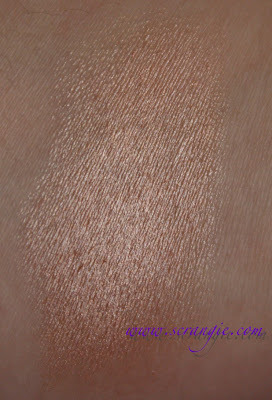 The Urban Decay one didn't blend nicely or meld with my skin like the Benefit one does. It just kinda sat there and looked a little cakey. The Benefit one can get cakey too, but it blends nicer for me. The Urban Decay packaging is cooler looking and it comes in more than one shade, but the Benefit worked slightly better for me. 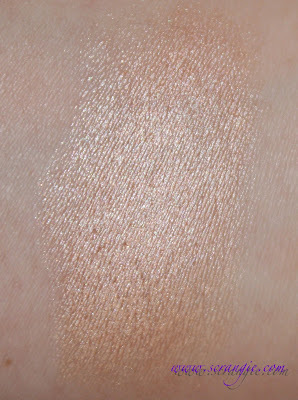 Personally, I like Benefit Moon Beam (liquid) more than either of the cream highlighters because it's easier to use. Packaging isn't cute, though! This product has a cute name, and I also like the packaging. :) The colour looks pretty and soft when you blended it out. I don't care for this too much. Maybe because it's way too young for me. I prefer a powder highlighter. Lucy, have I ever told you how much I appreciate your comments? Thanks for always keeping me company on here :) I prefer powders and liquids over cremes, too. Easier for me to use. Thanks for the application tips! Highlighter, other than powder, has always been a challenge for me. The liquid formulas have frustrated me to no end. But since I'm getting, ahem, older, I'm transitioning over to more cream products. The cream blushes are so different from the old cream rouge.